Future is just around the corner, and it’s ours! Even in 2016 Ces (“Consumer Electronic Show”) in Las Vegas didn’t let us down, proving to be more and more an all-round innovation fair, able to touch the most diverse fields, moving away from pure electronics. At CES 2016 we had the opportunity to appreciate innovations ranging from architecture & environment to virtual reality, from “immersive viewers” (for augmented reality) to Automotive. Why does the world of automotive still and again represent one potential “strategic goal” in innovation? And above all: how can it interact with all technology and innovation fields? 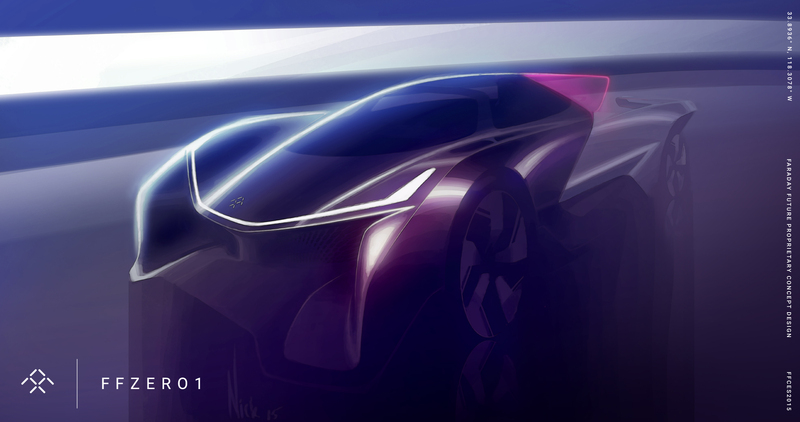 We find out the answer analyzing the most discussed, impressive and interesting “hot spot”, presented at CES 2016 in the field of Automotive: “ffzero1” by FARADAY Future. “FARADAY Future”, a Californian startup with a past of Chinese fundings, introduced a super car that puts together four electric motors, able to speed from 0 to 100 km/h in just 3 seconds and to be driven up to an estimated maximum speed of 320 km/h, and a flexible horizontal-separation (like a skateboard) construction scheme offering a great modular flexibility (for different models). From a volumetric point of view “ffzero1” introduces itself as a super sport concept car with a clear separation between the front residential cell and the rear volume, dynamic and streamlined shape, with a “fully single driver oriented” interior (single-seat in this configuration). “ffzero1”, and in general every idea and innovation presented at CES 2016, fully reflects the supervision undertaken by Istituto Europeo di Design of Turin in the interpretation of the future of automotive and, in general, of individual mobility. During the study programs of the three-year course in Transportation Design, of the Master in Transportation Design and of the new 1st level Master’s Degree in Car Interior Design and User Experience, the vehicle is examined as an innovative “container” of concepts and identity, in a highly-modular technological bond and at the same time translation of its passengers, not only at a morphological level but also at a content level. We predict a strong interconnection between vehicle and passengers, we predict smart vehicles that can “learn” the identity, the interests and the routines of its users, we predict that such vehicles become “memories” containers. We predict a crossing of the cabin concept, that turns into a “social” room (not only in technological terms) and gives a dialectical context to its occupants; we predict that its shape is absolutely flexible and modular in an ethical and functional way both for “consumers” and for “designers”. We dream a vehicle with “recreational” specs, that can change the external and internal “mood” depending on whom, how and where it is used. We dream a vehicle that learns from us, and at the same time a vehicle we want to “feed” as if it was an object. We dream a vehicle that mounts variable set-ups in sensorial terms (“Vr”), involving all the senses of its passengers. We dream of creating precious sensorial perceptions infused of natural warm and comfortable materials, functional and hygienically maintainable. We imagine the future of the vehicle as “Hd” of its passengers, we imagine it can meet the unpredictable contemporary needs. We imagine that “its” and “our” virtual identity can be moved on a new vehicle, like it happens with a common SD card. We imagine a future of hybrid human and automatic driving. We predict a technological assistance that avoids accidents caused by manual driving. We imagine this vehicle as a “tutor” of our travelling, of our moving and of “our becoming” …this vehicle grows up with us! For this reason we appreciate the efforts by FARADAY Future and its exhibitors at CES 2016. Because they watch over innovation in a perspective of synergy and interaction, because the human being is still the core and experience is the starting point for design. For the first time, IED Turin will internationally present its interpretation of this vision during the Geneva International Motor Show in March 2016. Graduated at IED in 1998, after gaining different skills in transportation design and product design by Fiat Centro Stile, Form Design Center (Italdesign), Idea Institute, Nucleo Design Factory, he is hired by Kiska (AUSTRIA) in Transportation Design Department specialized in 2 wheels (ktm). In a seven years path he acquires experiences and specific skills in transportation design, marketing to design, brand strategy, product strategy, customer acquisition, client relation. 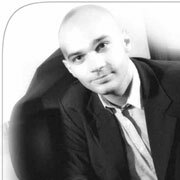 In 2006 he founds ESSERE Group, an inter-disciplinary consulting agency offering services that range from transportation to product design, from marketing to brand/product strategy, from architecture to POS design, sales and promotion strategy. Since 2006 he has been teaching at “University of Apllied sciences” FHS Salzburg Kuchl, disciplines related to Design Product Management, Visual Communication, Design Awareness. Since 2014 he has been lecturing at IED Turin, where he is holding workshops and courses concerning bikes, yachts and trains design and automotive. He boasts working experiences in 14 European and non-European countries, in addition to the publications and interviews on the following magazines: Motociclismo, Ottagono, Auto & Design, Motorrad, Reitwagen, Motorrad fahrer, ORF 1 (tv), Chrone Zeitung, Creativeburò ZENZ.